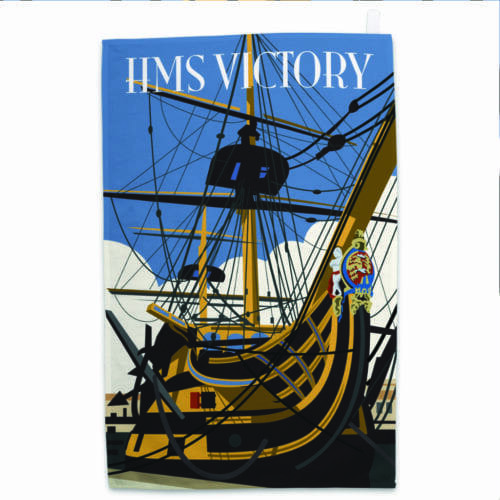 A beautiful tribute to HMS Victory, a ready to hang metal sign or tea towel. 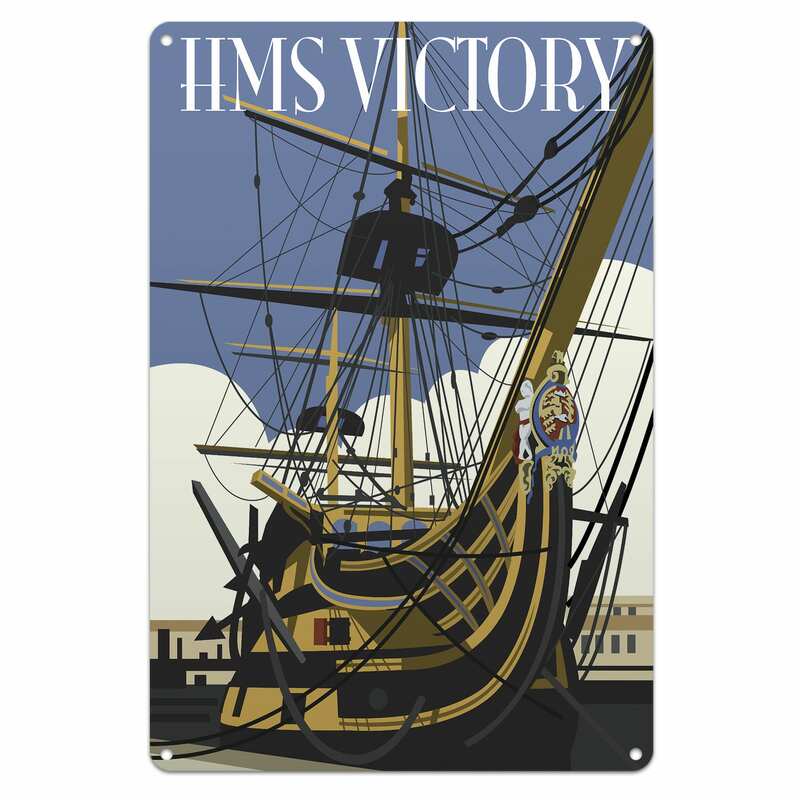 Earlier this year we offered a series of London themed metal artwork signs by the artist Dave Thompson and they proved very popular. 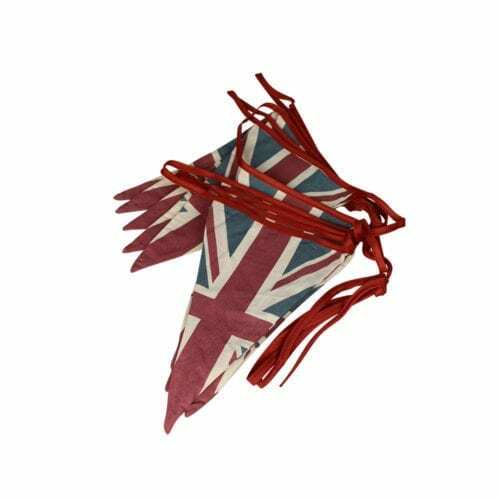 So, in time for Christmas, we’ve chosen 20 of his most beautiful designs from around Britain and are offering them on metal signs and tea towels. 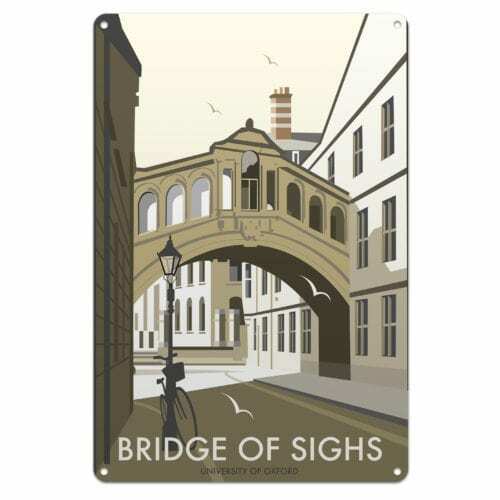 These beautiful metal signs are designed by the artist Dave Thompson, who makes beautiful artwork evoking the nostalgia of famous British places. 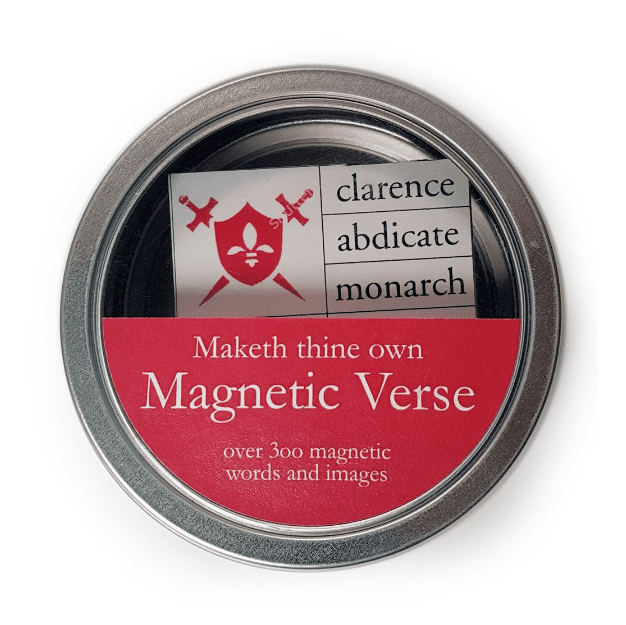 These metal signs are produced in England and measure approximately 8×12 inches in size. 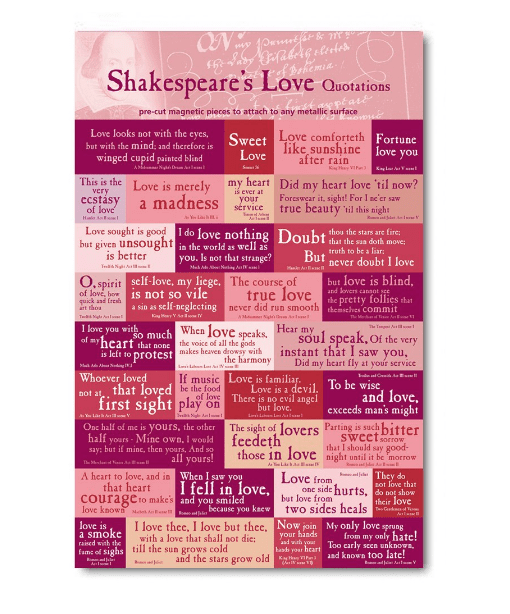 They look great on any wall and they don’t need to be framed. This design features the beautiful HMS Victory at Portsmouth Historic Dockyard, a British Naval icon recognized all over the world.